Species recorded as larval food plants are Capparis canescens and Capparis mitchellii. Mature larvae 20 mm long, body pale green with faint yellow and white lines; head green or reddish-brown. 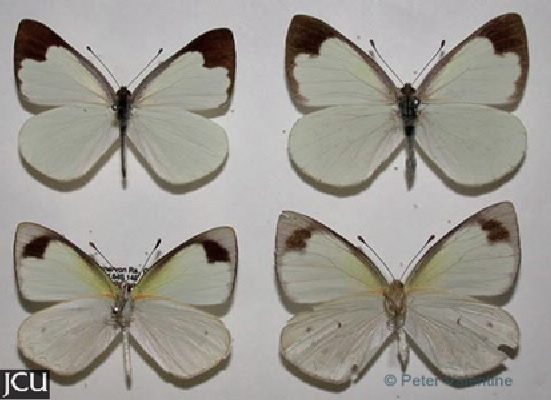 Adult fore wing is cream-white with a broad black patch near apex, hind white with narrow black streaks near the margin; lower surface is whitish with brown and yellow markings.